They got their start in Atlantic City’s 500 Club on July 25, 1946, and severed their professional relationship on that same day ten years later (i.e. July 25, 1956). But, in those ten years, Dean Martin and Jerry Lewis appeared on stage and screen as one of the most successful comedy teams of the era. Their shtick and success evolved from a melding of clowning and singing. In their movies, Mr. Martin was usually the worldly, romantic lead who could carry a tune while Mr. Lewis played the innocent, naive buffoon, invariably disrupting his partner’s amorous tunes and designs. 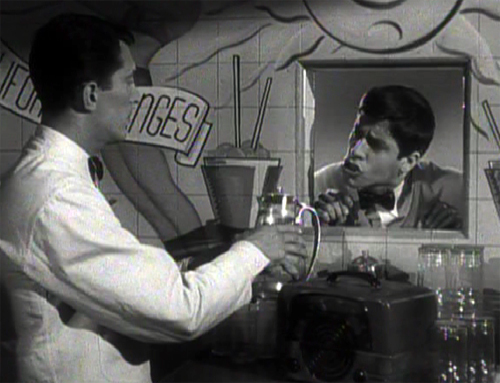 Much has been said and written about their acrimonious and seemingly permanent split in July 1956, but, as Jerry Lewis has revealed in his autobiography Dean and Me: A Love Story (2005), the split was not all that acrimonious or permanent. Even after they parted ways officially, they remained friends and occasionally, albeit extemporaneously, partnered on stage. For the ten years that they were indisputably a team, they parlayed their comedic genius into 16 box-office hits. 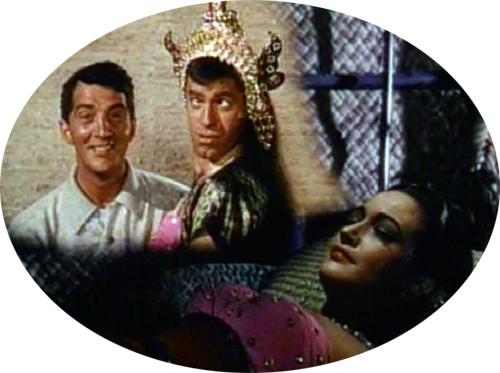 The number of hits should actually be 17, stipulating, of course, that Road to Bali is a Bob Hope/Bing Crosby hit showcasing the talents of Jerry Lewis and Dean Martin only in a single cameo appearance.